recommended for: Fans of Shatter Me by Tahereh Mafi and Red Rising by Pierce Brown. Fans of Ella Enchanted by Gail Carson Levine. This book took me a moment to get into. Perhaps the beginning is a little slow. It wasn't a long-lasting feeling. By the end, I was begging for more. 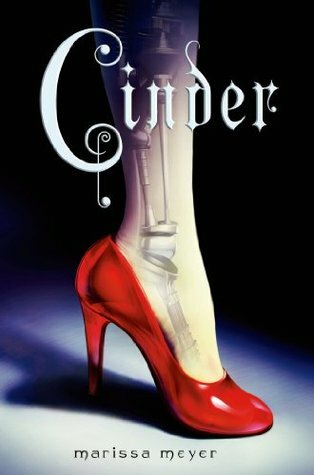 Cinder is one of the most creative, off-the-wall fairy tale retellings I've ever encountered. Meyer stays true to the spirit of the original while embedding it into her own, fantastical world. That world is a huge draw for me. I'm not as much a connoisseur of science-fiction, but Meyer make it an easy transition for a fantasy junkie. This is a world of cyborgs and "magical" powers. A world of plague and fear. A world of androids and emperors. A deep world with multiple layers of mystery and reality. At the center is Cinder, a no-nonsense cyborg mechanic with a depth of compassion and vibrancy that's ignored by those who only see her metal. I loved her instantly, cried with her for her sister, blushed with her at the unexpected smiles of adorable Emperor Kai. And best of all, the romance was a bonus but the core was Cinder and her own struggles. And surprises. What Meyer gives us is a story of prejudice, perseverance, and action action action. Of love and sacrifice. It's a richly imagined world that left me both satisfied and dying for more. Something is always throwing a wrench in the works (har har). So much is going on in this book, there's no room to be bored. It's also well-paced enough that I never felt overwhelmed. On one hand, you have the prejudice against cyborgs. The mystery of Cinder's unremembered past. The threat of Luna, the moon's empire full of mind-controlling superhumans. The uncurable letumosis plague that has claimed millions of lives and threatens Cinder's own family. The draft of cyborgs to be used as medical experiments to cure the plague. The visitation of the Lunar Queen Levana to Earth, with sinister motives. The struggles of Prince Kai to grieve his dying father and accept the role that will soon be his. Throw in a bunch of neat technology, pretty dresses, and well-woven side plots and it reads like an epic. If you think you know what's going on, you're wrong. Every page-turn is exciting, anticipatory, and the pace becomes as frenetic as poor overwhelmed Cinder. Along with the frothy romance and fun comes true terror and tragedy. Along the way, we see Cinder grow into her own person and cast off the chains of her lowly status. I will say that I totally guessed the big reveal early on and I thought Meyer foreshadowed it too strongly to leave it unspoken, but it was still a satisfying reveal, because it added a new level of danger. What I really want to emphasize here is that Cinder's story is embedded in a larger world with so many layers. The tension between her desires and the fate of Earth is a constant struggle that takes this book from cute fairy tale to dystopian masterpiece. Cyborg Cinderella. Okay, I'm done. *micdrop* ...Seriously, though, cyborg Cinderella. How cool is that!? Most of the fairy tale retellings I've seen are either fantasy or contemporary. I've never come across a fairy tale in science-fiction. Meyer does much more than just stick our favorite characters into a robot-populated world. 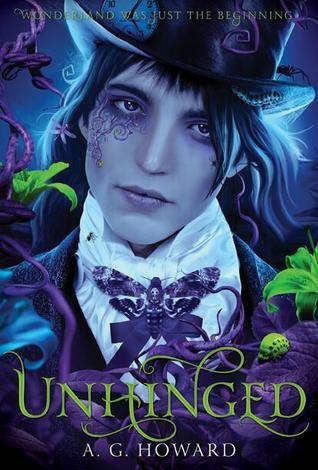 She keeps the themes, the types of characters, some of the basic plotlines, but her world is still at the forefront, making this a book that could stand alone easily without any of the fairy tale charm. But I do love the fairy tale charm. We have Cinder, cyborg stepsister. Kai, mindblowingly adorable Prince Charming. A hovercraft pumpkin carriage. Can you guess who the fairy godmother is? I won't spoil. Behind it all are some tough issues. War. Prejudice. The benefits and fears of our increasing technology. Constant threat of death. If anyone tells me that young adult books can't be both fun and deep, I'll hit you with a metal foot. I love the characters more each time I think about them. Cinder is the star and rightly so. She's not your typical shy introvert. She's not a super-gorgeous girly girl. She's not like anyone else, really. She's level-headed, but has a temper too. She's compassionate to a fault. She's self-deprecating but secretly believes she deserves more. She's a badass mechanic but also a teenager with a crush. Her relationship with Peony was one of my absolute favorite parts. Peony is her younger stepsister and incredibly adorable. She knows that her mother and sister despise Cinder, but she makes her own decisions. She looks up to Cinder and brings out Cinder's truest human qualities. It was a touching, tragic, beautiful sister bond that's rare in your average adventure story. Then there's Kai, love interest, who's (guess what!?) also his own person. Often the romantic relationship in young adult novels subsumes everything else, but here, it was much more understated. Cinder's affection for Kai and his for her grew slowly and sweetly. It was important, but never more important than her family, the plague, the threatening Lunars. For either of them. Kai is clearly smitten, but his country comes first. I could gush all day, but I'll limit myself to saying that the more minor characters are equally deep and interesting. Iko is hysterical, Levana is brutally terrifying, and Erland is particularly complex and shifty. I love these people. Meyer matches her style to her content beautifully. There's a lot of technical language thrown around, less so you can understand it and more to give the story that cyberpunk flair. There's also plenty of prettiness and fairy tale whimsy. It's an unusual combination that Meyer works to her advantage. Her dialogue is also inspired. Each character felt like a unique character with a unique voice. Cinder especially was witty and delightfully sarcastic, which I personally enjoyed. Hahaha. Get it? 'Cause she's a mechanic? ....Okay. So, like I said. A little slow in the beginning. I could see an inattentive reader putting it aside. Maybe. The timing of the reveal was really the main point-knocker here. When you're made an obvious implication and all the facts line up, you can't just dangle it forever. It makes your characters seem stupid. And that's all I got. The techno-speak is awesome. Meyer clearly did her research. Also, I love that it was set in Asia. Way to go, nonwhite characters in young adult! Science-fiction, dystopian, and fairy tales find a home in this exciting adventure-romance. I felt the beginning was slow too and for a while there I was thinking, what's so great about this book? So many people love it but I wasn't feeling it at all. I kept going though and wasn't disappointed. By the time I finished reading the book, I could see why so many readers loved it. I haven't had a chance to read Cinder yet which makes me a little sad since I always see people raving about the Lunar Chronicles....I can't wait to actually read it for myself..